Your little adventurer will be ready to blaze new trails in the Stride Rite Clayton. This rugged leather sneaker has mesh linings to keep his feet cool and an alternative closure for easy on/off. Leather upper. Easy alternative closure. Mesh linings for breathability. This durable, waterproof boys duck boot is perfect for days outside in the snow or rain. Synthetic and rubber upper. Lace-up closure for a snug fit. Non-marking rubber lugged outsole for ultimate wet/dry traction. Classic first walker with sweet touches for a baby girl. 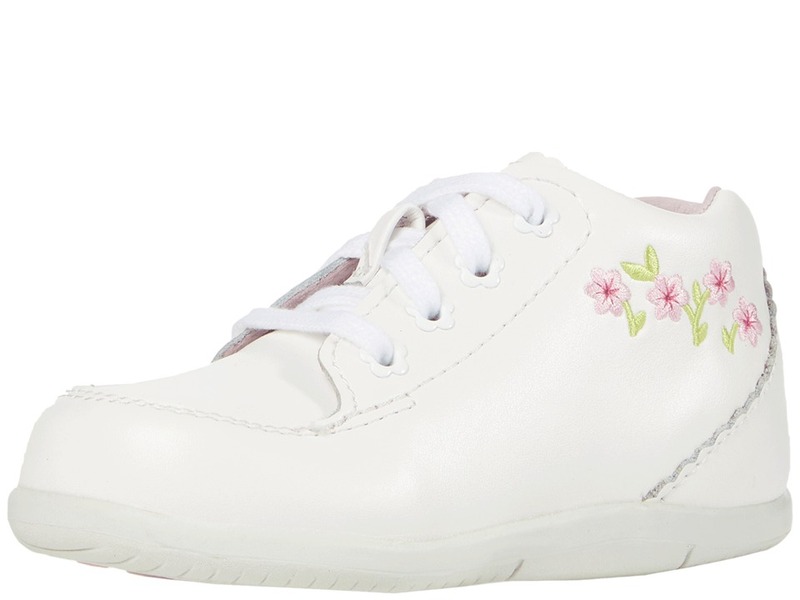 Breathable leather upper with embroidered flowers and scalloped edges. Natural leather lining wicks moisture. 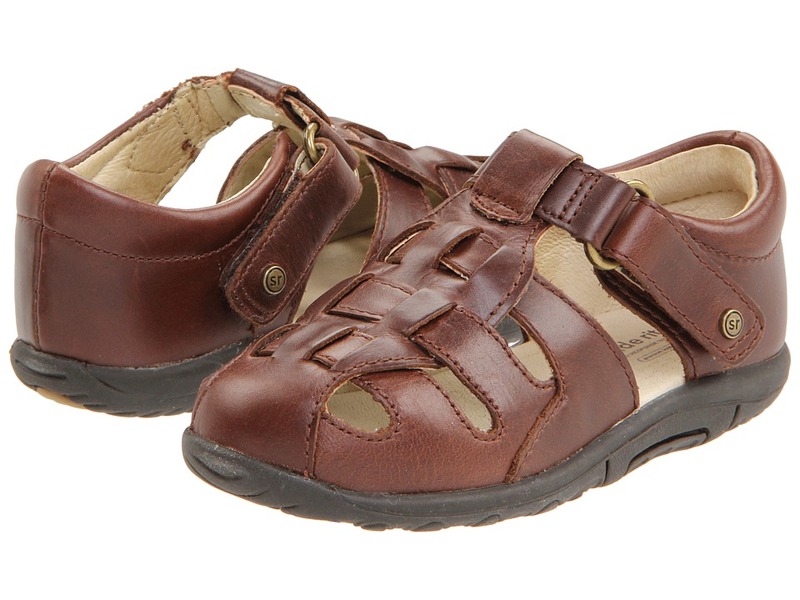 Self-molding leather footbed has a contoured heel cradle to ensure a secure fit. Removable footbed with Check Fit system allows you to check that they still fit. Lace-up closure provides a secure fit. Sensory Response Technology&amp#8482 helps mimic barefoot walking by having sensory pods on the outsole to help kids feel the ground. Flexible and lightweight outsole helps kids learn to adapt to uneven surfaces. Measurements: Weight: 3 oz Product measurements were taken using size 3 Infant, width M. Please note that measurements may vary by size. Weight of footwear is based on a single item, not a pair. 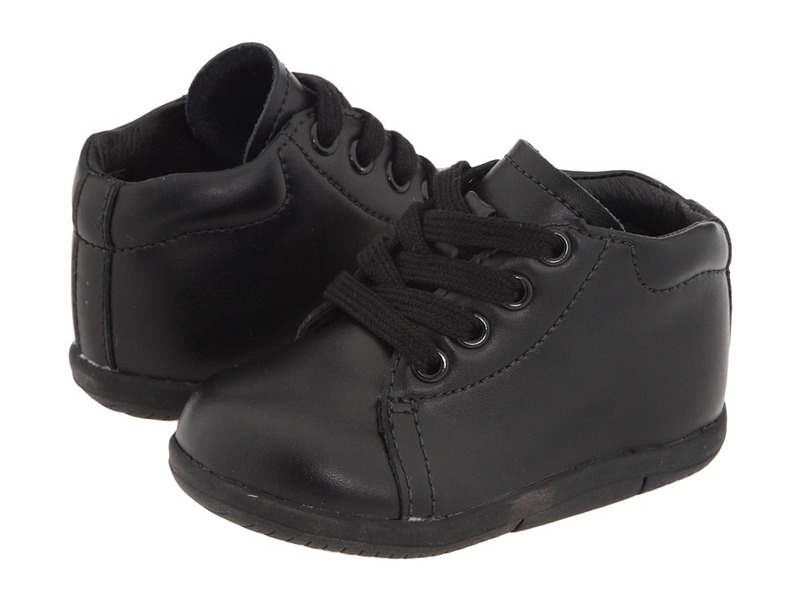 This classic first walker will help him develop steady steps. Breathable leather upper. Eco-friendly textile lining wicks moisture. Self-molding textile footbed has a contoured heel cradle to ensure a secure fit. Removable footbed with Check Fit system allows you to check that they still fit. Lace-up closure for a secure fit. Sensory Response Technology&amp#8482 helps mimic barefoot walking by having sensory pods on the outsole to help kids feel the ground. Flexible and lightweight outsole helps kids learn to adapt to uneven surfaces. Measurements: Weight: 3 oz Product measurements were taken using size 3 Infant, width M. Please note that measurements may vary by size. Weight of footwear is based on a single item, not a pair. 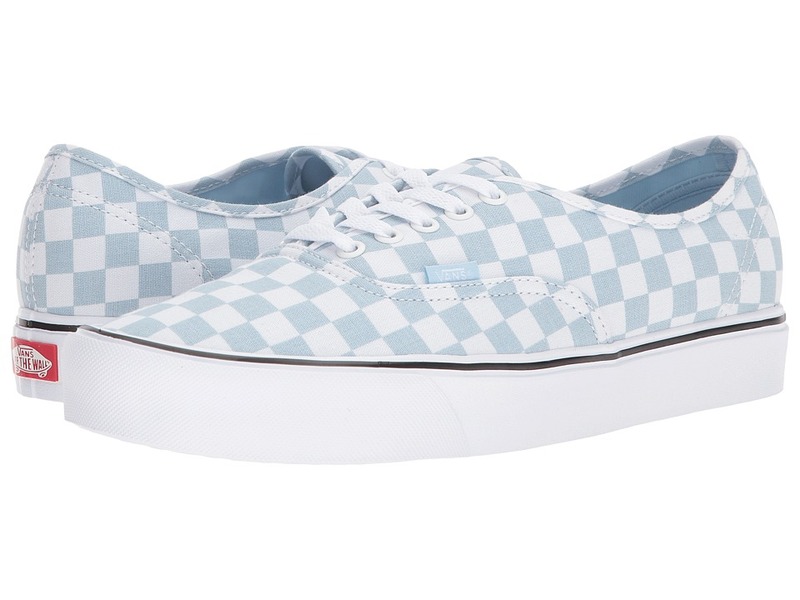 The perfect, classic style for any occasion. Leather upper with decorative cutouts and a rhinestone adorning the front. Hook-and-loop closure for easy on and off. Man-made lining and a cushioned man-made footbed. Flexible rubber outsole. Measurements: Weight: 3 oz Product measurements were taken using size 6 Toddler, width M. Please note that measurements may vary by size. Weight of footwear is based on a single item, not a pair. Cool style just comes naturally when he~s got the SRT SM Freddie sneaker on his feet! Premium leather upper features classic sneaker silhouette. Lace-up closure for a secure and traditional fit. Natural Motion System&amp#174 mimics barefoot walking, and has the flexible stride path and natural propulsion that babies need to grow into strong walkers. Sensory Response Technology&amp#8482 helps mimic barefoot walking by having sensory pods on the outsole to help kids feel the ground. Flexible and lightweight outsole helps kids learn to adapt to uneven surfaces. Imported. Measurements: Weight: 2 oz Product measurements were taken using size 3.5 Toddler, width M. Please note that measurements may vary by size. Weight of footwear is based on a single item, not a pair. Classically cool for any occasion! Premium leather upper features bow adornment. Hook-and-loop closure for easy on and off. Leather lining and footbed. Recycled rubber outsole and natural stitching are eco-friendly. Natural Motion System mimics barefoot walking, and has the flexible stride path and natural propulsion that babies need to grow into strong walkers. Lightweight outsole has deep flex grooves for maximum flexibility and toe wrap for protection. Measurements: Weight: 2 oz Product measurements were taken using size 3 Infant, width M. Please note that measurements may vary by size. Weight of footwear is based on a single item, not a pair. Summer by the seaside deserves the SRT Harper on his feet! Fisherman-style sandal features a leather upper. Hook-and-loop closure for easy on and off. Cushioned collar and padded insole for comfort. Stage 3-Enhanced with the Stride Rite ultra-comfortable Natural Motion System, designed to mimic barefoot walking and give babies the proper stability and traction they need to grow into strong walkers. Durable rubber outsole. Measurements: Weight: 4 oz Product measurements were taken using size 8 Toddler, width W. Please note that measurements may vary by size. Weight of footwear is based on a single item, not a pair. Plant a garden of style with the SRT Tulip all over her feet! Colorful leather upper features irresistible strap design. Hook-and-loop closure for easy on and off. 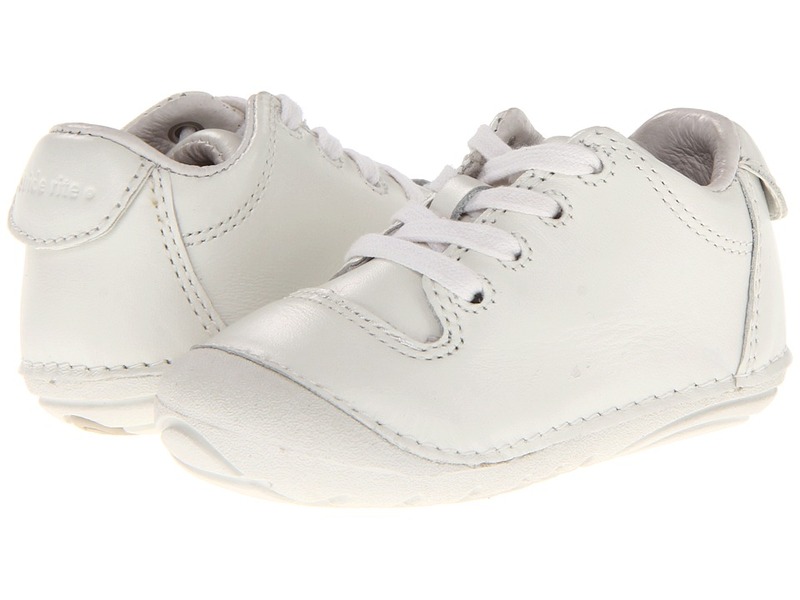 Breathable leather lining and cushioned insole for support. Durable rubber outsole. Sensory Response Technology&amp#8482 helps mimic barefoot walking by having sensory pods on the outsole to help kids feel the ground. Measurements: Weight: 2 oz Product measurements were taken using size 3 Infant, width M. Please note that measurements may vary by size. Weight of footwear is based on a single item, not a pair.